Nintendo Direct: Watch the Japanese Wii U and 3DS Nintendo Direct - Live! Though E3 is just two weeks away, Nintendo is hosting a special Direct broadcast for Japan, covering Summer Wii U and 3DS releases in the country. We may get a look at intriguing titles such as Fire Emblem: If, so join us for live coverage of the broadcast. Writing up some of the more exciting details now, plus the full vid is now available. OK, the full vid is now embedded. Alex and I are writing up the juiciest bits for the front page, because we like you all so much. What did you all think? I thought that was alright, actually. And it's finished, not bad! Monster Hunter Airou DX is out on 10th September in Japan. Kind of like Animal Crossing with felynes. More Project Treasure info coming this summer. Remember, this will be free to play. Four player co-op brawler, it seems, lots of hacking and slashing. Project Treasure is being shown, first footage. Now we're looking at previously confirmed Smash Bros. amiibo. Out 16th July in Japan, after Europe! Now we're seeing the amiibo-related yarn designs. Poochy the woolly dog spotted. He's awesome. Buy power badges to help you along in tricky sections. Just look at it, who can resist? Yoshi's Woolly World is now being shown, so many yarn designs! Is it wrong that I'm hyped for that? Mario & Sonic at the Rio 2016 Olympic Games - inevitable! Has online play, it seems, in addition to download play for local matches. Two players on one system, ok then. Hold the system sideways for a different playstyle. New Nintendo 3DS LL for Happy Home Designer also coming. There'll be a bundle with AC amiibo card and a portal. Animal Crossing: Happy Home Designer out on 30th July in Japan. 25th June, I'm so jelly right now. Ooh, free movement in an overworld. Fire Emblem: If is next up, lovely stuff! It looks like Swords & Soldiers with cats. I want this game with weird over-sized fighting cats. So that was Super Robot Taisen BX. This game doesn't have stereoscopic 3D, which is weird for a 3DS game. Monster Hunter X seems to be a thing for 3DS, but we're waiting for a better source than one guy on Twitter! I don't want to freak you out, but the internet's talking about a new Monster Hunter. 15 minutes to go and we're rather looking forward to this - join us for live coverage! If y'all could have one semi-realistic reveal here that would eventually come West, what would it be? Those are just Nintendo games, there'll be some third-parties too. 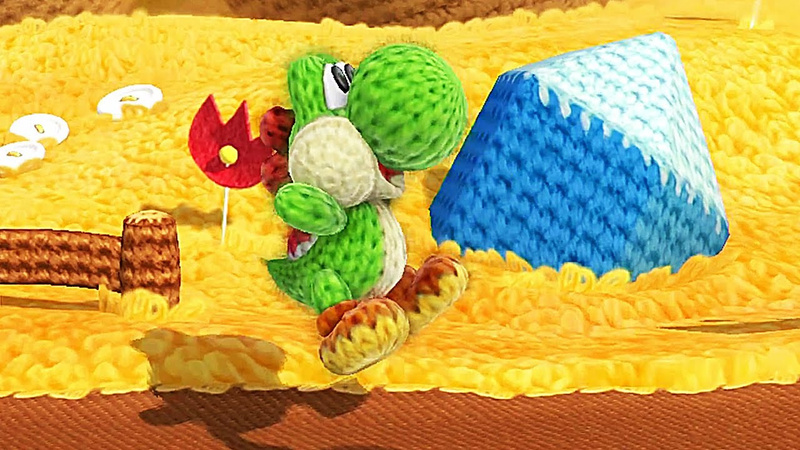 On Wii U we'll likely see Yoshi's Woolly World, and perhaps a bit of Mario Maker. This Japanese Nintendo Direct will be 31 minutes long. 30 minutes to go, and some 'relatively' sensible predictions are now being made. Unfortunately Damien, our Editorial Director isn't here in my house on a Sunday morning - that would be a scandal worthy of the tabloids. They were fabulous, noisy scenes in the office when Nintendo revealed the New Nintendo 3DS in a Japanese Direct. I barked specifications while he typed a news article. "What are they saying now?" "I don't know, it's Japanese, but it has a second Circle Pad thing" and so on. I now realise Satoru Iwata isn't even down to present, but no Nintendo Direct live blog is good and proper without scrolling pictures of Iwata-san. It'll be fun, anyway, especially as I was up until 4am playing Batman: Arkham Asylum, which is a sensible thing to do. I do recall a random Japanese Nintendo Direct that revealed a thing called New Nintendo 3DS, though, so there's a sliver of hype. So, I don't expect any huge shocks, as the focus in Wii U and 3DS games out this Summer in Japan. Fire Emblem: If will be shown and, erm, where's that coffee? 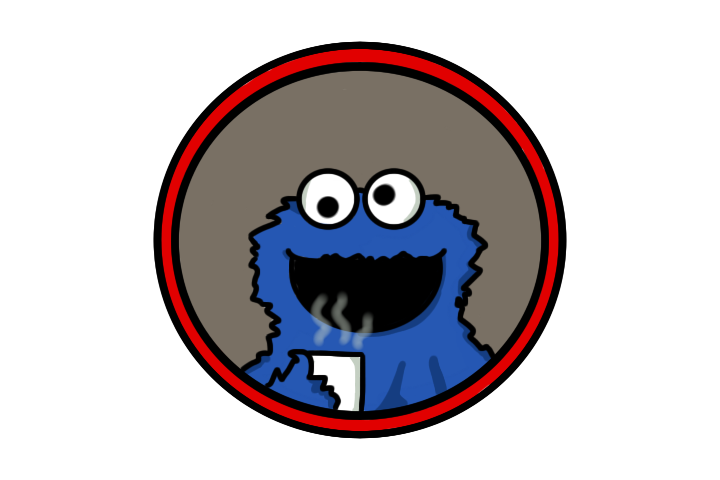 This is me, so I'll grab some coffee shortly. But we're here instead! Hit play on the video for a countdown that shows this starts at 11am UK and noon CET, or 3am Pacific / 6am Eastern for those that are really dedicated. Hello everyone, it's a Sunday morning so, yeah, I should be asleep. Give me Happy Home designer!!! chibi Robo is the new Castlevinia? erm. nvm. It's a platformer. I'll get it anyways. That guy is not Iwata. Go home. really? they included Nabbit in the next M&S Olympics? Why Nabbit? Not that I dislike him, but why him? it's based on an anime? What is this robot game about? I'm only just reading it back. FINALLY THE ORIGINAL 3DS AMIIBO ADAPTER!!! i haven't seen the monster hunter yet, but man, am i hype! I expect to see yall at the digital event stream! It'll be interesting to see how much of that shows up as western announcements at E3. I'd probably buy a good bit of the new stuff they showed. Well, I'm out. Good night folks! Or rather, good morning. I was expecting new 3DS Home Themes. Disappointed. Not like the wii u has any high-profile releases waiting for us already right? Hyped for Project Treasure now. They're gonna announce a lot of Wii U stuff at E3! But no power shots in Mario vs. Sonic. Nor online play... but there might be this time around. nintendo better focus on the wii u for E3! Also, ANOTHER MONSTER HUNTER GAME? COME ON! Couldn't watch it. Only got errors. I want that amiibo too! I like that robot Amiibo. Guess that's a preorder. is there a nintendo IRC? Excited for Mario and Sonic only because new characters. Otherwise, I wouldn't give a crap. I mean, Nabbit and Zazz!! So many X titles games..
i'm gonna stay up all night just to get a Chibi Robo amiibo! The Chibi Robo amiibo will be 599 US Dollars! Really hyped for Project Treasure, Nice Woolly World stuff, and Chico Robo looked ... unique. anyone catch those other Wii VC games they listed? I want to know what it mean to gamers. FE was best game shown off. It didn't say it was New3DS exclusive, oddly. I know what is cross. not much about the Wii U huh? When are we going to get a mario & Sonic platformer dammit. Throw Mega Man in too while you're at it. is it new 3ds exclusive or just any 3ds ???? Wait new 3ds, 3ds, or wii u? And now we wait for E3! what happened to MH 5, 6, 7, 8 and 9? is it new exclusive or just any 3ds ? What does this "x" mean? Last video, ladies and gentlemen. Watching in full glory full screen.. thanks Youtube. THERE'S A NEW MARIO AND SONIC?! WHOOPEEEEEEEE!!!!!! @whodatninja .... 2 games, actually. Again, New3DS required more than likely. HOLY CRAP THIS LOOKS AMAZING!!! Mario Maker will be at e3. It was supposed to have Wii U news, damn it! I wantz itz onz Wii U... why can't I haz it on Wii U? lol that's the new monster hunter game?! "One more thing from Capcom"
we have like, 13 minutes left right? show Lucas at least... come on! How many of you just messed your pants when you saw "From Software" only to be greeted by this? This has been a long time coming, I'd forgotten all about this. Next Information.... what sort of English was that? EU get it first for once! Yay! 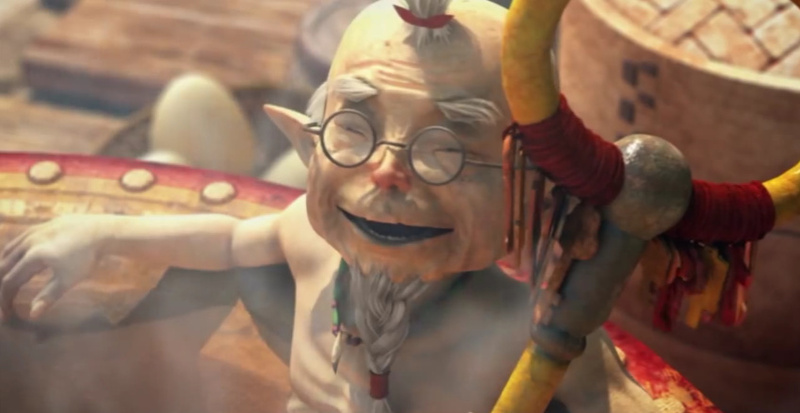 Am I the only one that finds mario yoshi slightly creepy? Other characters on Yarn Yoshi? Novel idea! DK Yoshi is best Yoshi. they were playin it on my friends list. Find all 5 yarns and unlock a new Yoshi appearance. But we knew this. My friend has a review copy of this! When will Shy Guy get his own game? Well I'm now buying this. We've seen this trailer already. Where's mah Kirby wii game Reggie?? Just games fot the VC. Yay, the best game of alll time, Mario Galaxy! wait new super mario galxy ? Yes. It is very wrong. Well... we now know what Nintendo will be showing at E3. Looks like it may actually be a substantial experience. Stop, please, give us a real crossover! And what if you buy both...? Yup. The last game was Wii U only. The heck is this shiet? WHO DAFUQ WAS THAT THING ? No, it's back! No! NO! Hmmm....... Might get this after all for multiplayer alone. 2 player on 1 DS? I already have Express on my 3DS, might not get this. Dr Mario looks ironically unwell. Nice! A new Dr. Mario game! how many times can they make dr mario? FUN FACT: This game interests me. If this is exclusive to Japan. Oh, Chibi. You rascal, you. Would buy the DLC 420 times. Why is this not a Wii U game? THEY'RE BRINGING THE FAMILY BACK? Remember when they said NES Remix couldn't come to 3DS because of hardware restrictions? What ever happened to that excuse? they brought different starter characters back? anyone have the NEW 3ds and how is it? Nes Remix music is fantastic. They are doing this to death now. Japan is so stuck in the past. Get with the times, Japan! Wait... it's a full fleged game? E3 should have NN3DS standard version..
Cmon guys, Pokemon is gonna happen..
that doesn't need a box that big. Wait, Happy Home Designer is a full-price game? its awesome to hear these announcements live with all you nintendo fans! I have the marth amiibo! I SEE FEET TOO... WOOHOO! FUN FACT: I'd rather have an FE game on the Wii U instead. This is actually really f*cking awesome. How'd they bring young Iwata forward through time? I'm only getting errors! Help me! this looks interesting... Reminds me of Actraiser's sim segments. The previous game trailer is called Battle Cats and they have it from iOS and Android.. Harvest moon meets fire emblem eh? I hope the english release is titled: Fire Emblem: What's the difference between the second and third conditional. IS THIS ANIMAL CROSSING NOW? I've had bunions that look better than Meme Run. Cho Aniki 2 on the 3DS? you can explore space and fight mobile devices i think? It's Castle Crashers with Japanese Memecats. Meme Run coming out in Japan! This is the new Fire Emblem, folks. I can understand what's happening. Trust me. Robots game for Wii U? That's a mashup of different robot anime right? FUN FACT: Japanese uses 4 different ways of addressing people: kun, chan, san and sama. yeah dairy queen for wii u! Remember, the New 3DS direct started with 3rd Party. nintendo is the greatest video game company of all time! Well no surprise to see you here, @whodatninja! Frankly, it doesn't matter if these games are Japanese exclusive. It doesn't play for me It just says "please stand by"
Because DQ is DB style. I really dislike that aspect. VIII? Why not just say 8? Why do the characters remind me of Dragon Ball? Where is the puff puff? I know one thing about what they're saying. Trunks, Picolo and Mr Satan. Fun Fact: I've never played a Dragon Quest game. FACT OVERLOAD! I can't understand a word these guys are saying. how often are these nintendo directs?